Microsoft recently announced significant changes to their technical certifications. In short, Microsoft streamlined certification pathways, launched a range of new Microsoft Certified Solutions Expert (MCSE) and Microsoft Certified Solutions Developer (MCSD) certifications, retired 13 existing certifications and restructured the way you certify and re-earn certifications. In a recent blog post we outlined these changes, covering what’s new, what’s retiring, how you can achieve these new certifications and the process of re-earning your certs. Today, we’re excited to announce your fastest route to earning these new MCSE and MCSD certifications, whilst helping you master the latest Microsoft technologies ready for 2017. Read on to discover the accelerated route that’s right for you. This certification validates the skills necessary to run a highly efficient and modern data centre. You have two distinctly different accelerated pathways to earn your MCSE Cloud Platform and Infrastructure certification. Azure Cloud Platform - On this route you will master Azure across infrastructure and development. You’ll also learn to architect Azure solutions for the modern Enterprise organisation. This course is 50% faster than traditional training and you will leave both MCSA: Cloud Platform and MCSE: Cloud Platform and Infrastructure certified in just 7 days. Windows Server 2016- this pathway will focus you on learning the skills aligned to the Installation, Storage, Compute, Networking and Identity in Windows Server 2016. You will then focus on developing the skills to Secure Windows Server 2016, critical in a world full of cyber threats. This 15 day route is 25% faster than traditional training, during which you will work to achieve both the MCSA: Windows Server 2016 and MCSE: Cloud Platform and Infrastructure. This credential validates your skills to move your company to the cloud, increase user productivity and flexibility, reduce data loss, and improve data security for your organisation. Exchange Server 2016 - on this 11 day route, you’ll learn the skills to design and implement an Exchange Server 2016 messaging environment – 45% faster than traditional training. In working with the technology, you’ll touch on key proficiencies, including how to design and configure advanced components in an Exchange Server 2016 deployment. You'll cover advanced topics covering compliance, archiving, advanced security and discovery solutions. SharePoint Server 2016 - this 11 day accelerated route focuses on developing your skills in designing SharePoint infrastructure as well as planning authentication and security, managing search capabilities and monitoring and optimising a SharePoint Server 2016 environment. Skype for Business 2015 - here, you have the choice to focus on Deploying Enterprise Voice with Skype for Business 2015 or Core Solutions of Microsoft Skype for Business 2015. Both offer a 9 day route to MCSE Productivity which is 50% faster than traditional training. Earning this credential demonstrates you have the skills needed to manage devices in today’s bring-your-own-device (BYOD) enterprise. First, you'll unlock the skills aligned to the MCSA Windows 10 platform and accelerate your 9 day path to achieving the MCSE: Mobility certification. Choose to develop your skills for Enterprise scale businesses across device management, deployment or administration. Deploying Windows Desktops and Enterprise Applications - on this route you’ll develop the skills to assess operating system and applicant deployment options, determine the most appropriate deployment strategy and implement a deployment solution for Windows devices and apps that meet your environment's needs. System Center Configuration Manager and Intune - here you will learn the skills to configure and manage clients and devices by using Microsoft System Center v1511 Configuration Manager, Microsoft Intune and their associated site systems. Planning for and Managing Devices in the Enterprise - learn the skills to use Enteprise Mobility Suite to manage Windows 10 devices, users and data. You will expand your knowledge and skills helping you to plan, deploy, and manage devices and applications in medium to large organisations. Whichever route you choose, you’ll achieve your MCSA Office 365 and MCSE Mobility certification 50% faster with Firebrand, qualifying you for roles including cloud administrator, cloud architect, computer support specialist and information security analyst. The MCSA DMA certification will validate your broad skill sets in SQL administration, building enterprise-scale data solutions, and leveraging business intelligence data—both on-premises and in cloud environments. Choose your fastest way to master the new SQL Server 2016 platform and tailor your route to MCSE with a choice of developing skills across Business Intelligence, Database Development or Database Administration. Depending on the MCSE elective you’ve chosen you can further advance your skills in your chosen area in just 8 days. Earning the MCSD App Builder validates that you have the skills needed to build modern mobile and/or web applications and services. With Firebrand, you'll learn to create and implement web applications that scale using the Azure cloud platform to achieve the MCSA: Web Applications certification and MCSD: App Builder. Your chosen elective will be Developing Windows Azure and Web Services. You’ll learn how to design and develop services that access local and remote data from various sources. You’ll also get an insight into developing and deploying services to hybrid environments, including on-premises services and Windows Azure. This 9 day track is the fastest and most popular route to achieving the MCSD App Builder credential. 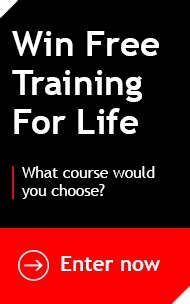 Why get Certified with Firebrand Training? As Microsoft Learning Partners and leaders in accelerated training, we not only offer you the fastest route to your MCSE and MCSD certifications, but we can ensure you’ll have the latest Microsoft Official Curriculum (MOC) and receive excellent training from our experienced Microsoft Certified Trainers (MCT). Our unique Lecture | Lab | Review technique combines both theoretical and practical exercises to accelerate your learning and develop the hands-on skills required for when you return to work. You’ll also take all of your exams on-site during the course, which will be covered by your Certification Guarantee. If you have any other questions about the new streamlined certification paths, you may want to check out this Microsoft blog with the top 12 questions about the new cert changes. Or, if you’re more of a visual learner, the video below discusses the new changes and why they were made with the Director of Microsoft Learning, Shelby Grieve.